Normal school girl Harper Price has accepted her new life as a warrior Paladin--a mystical bodyguard for the future-predicting Oracle. She has accepted her new role as the Oracle's girlfriend. She has accepted her ex-boyfriend's new position as the Oracle's Mage. After finally doing all this accepting, Harper's life drastically changes once again when Oracle David cannot control his powers and escapes the safety of Pine Grove. As David loses more of his humanity, he unwittingly turns teenage girls into more Paladins who believe his number one threat is Harper. As if battling her sadness over David's departure wasn't enough, now Harper has to protect herself from his new Paladins, all while her powers grow weaker in David's absence. Determined to save him from himself, Harper embarks on the ultimate summer road trip to find David and make things right. Reminiscent of the Buffy the Vampire Slayer tv show, Rachel Hawkins does not disappoint in this final book of the Rebel Belle trilogy. 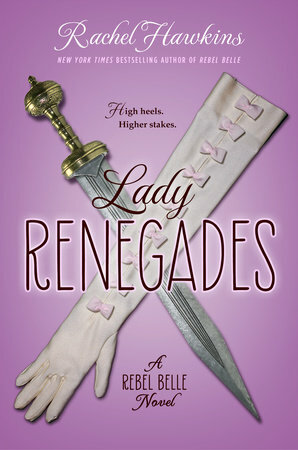 Funny and sassy, Harper is the perfect combination of strong heroine and Southern lady. Although Hawkins gives enough information for new readers to pick up the story, reading the first two books greatly enhances enjoyment of the third. 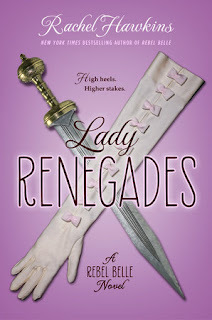 Lady Renegades is a must read for fans of books with the "chosen one" storyline, as well as strong female lead characters. This is obviously my VOYA review since it's well-written but I feel compelled to add: I really really loved this series.